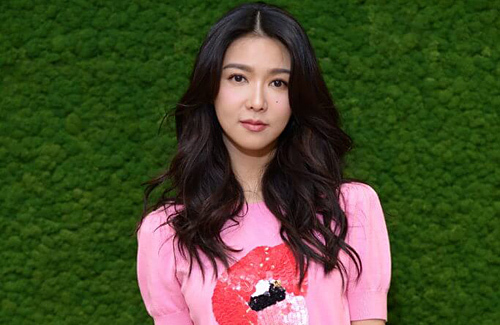 Passing the age of expected marriage, 37-year-old singer/ actress Fiona Sit (薛凱琪) shares that her parents are not concerned about her career at all, but are most worried about her love life. She personally does not feel the need to rush, and believes fate and destiny will determine her path. Since breaking up with Jaycee Chan (房祖名) in 2009, there hasn’t been any reports of her being romantically involved with anyone for a long time. Though, this year may be the one that Fiona finally finds her right match, because a feng shui master commented that Fiona is blessed with peach blossom luck in the New year. When asked on her thoughts, she said, “Everyone keeps on saying that you must have peach blossom luck in this industry, to have fate with people and the audience. I am Christian, so I’m not too concerned. If things you want hasn’t come, then it means it isn’t the right time. Currently recovering from a cold, Fiona expressed that she had a hoarse voice earlier and received oxygen therapy due to the lack of rest. She thanked everyone for their concerns and said she has been taking medicine and eating more fruits to aid her recovery. 37 is an age that would make most asian parents worried for their son/daughter but way earlier if a girl. unless she’s really sick of romance, i have a feeling that she will find someone soon. i mean, she’s cute and she seems like a decent person.